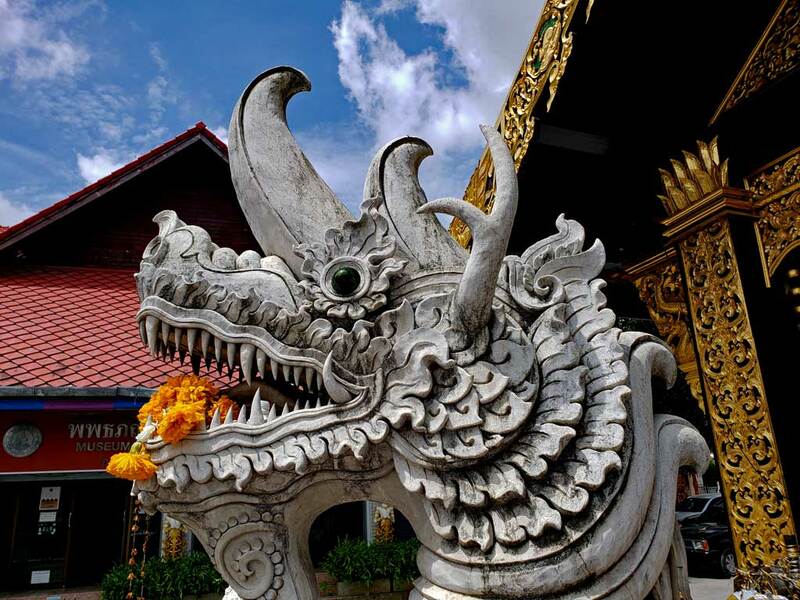 Dragons in Thai culture as in many Asian cultures has magical or, supernatural powers.it often protects temples, bring water and is often associated with wisdom and longevity. Chiang Mai in Northern Thailand (localized, but in Western alphabet it is one word – “Chiangmai”. In Thai it is “เชียงใหม่”) , this region is a part of Thailand that gets its influences from many different countries and cultures. It is close to the border with Myanmar (formerly Burma) and Laos. China is not very far away either, but Thailand has no direct border with China. The development of the region centered on the rivers and the river valleys that cut through the mountains of the region. The climate is tropical and due to the higher elevation it has more pronounced seasonal differences in temperature as compared to lower lying areas. 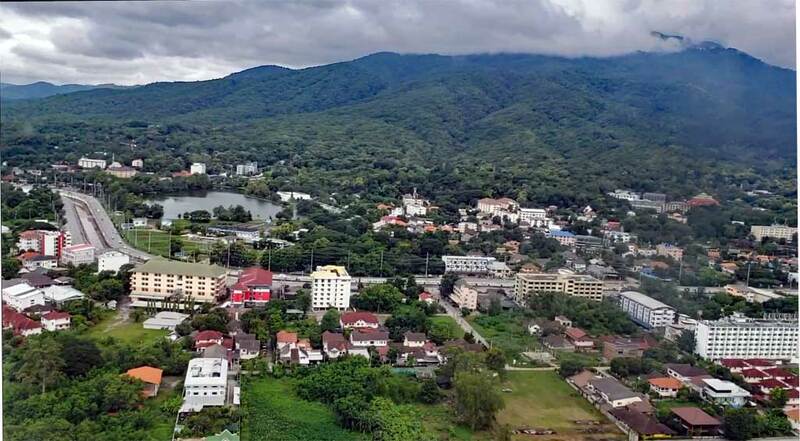 Outlying parts of Chiang Mai as seen from the air. Chiang Mai airport designation – CNX – with the terminal building as seen from the tarmac. Typical Chiang Mai building, I believe it is an administrative building or maybe a school. 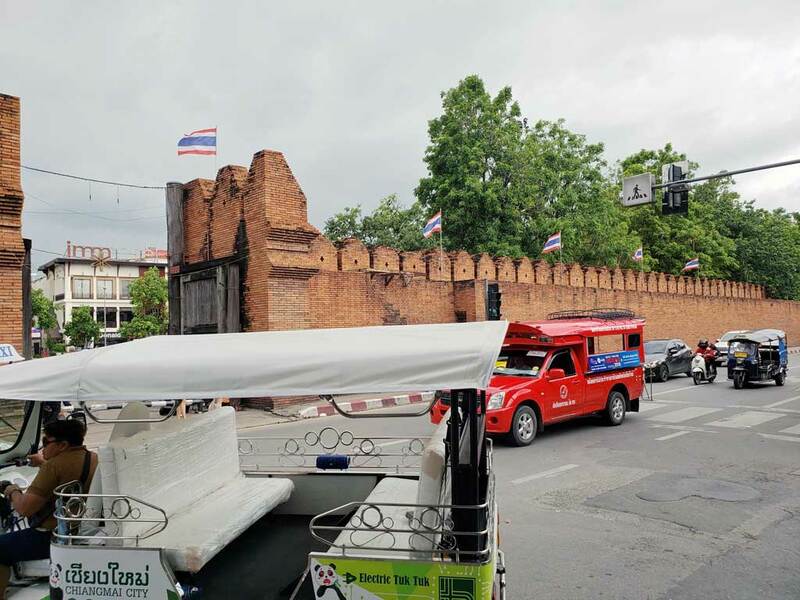 The wall around old town Chiang Mai still stands in places. 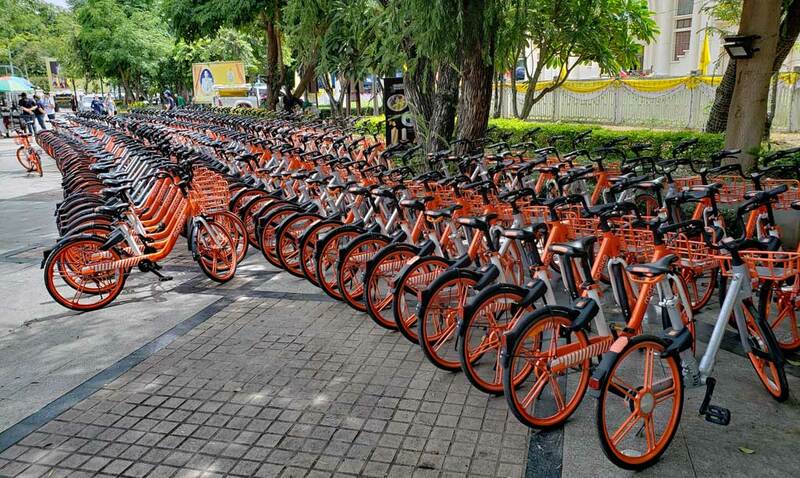 Headed for the bike mountain in China? 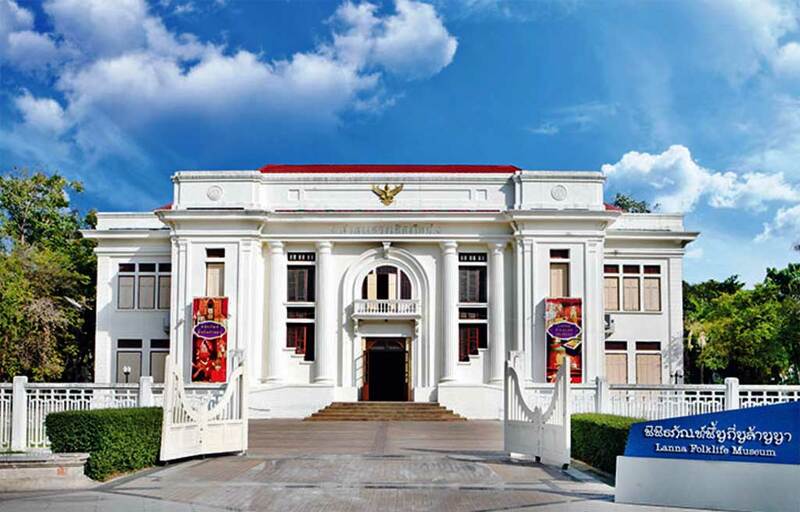 Lanna Folklife museum is housed in a former courthouse, it is a colonial style building. 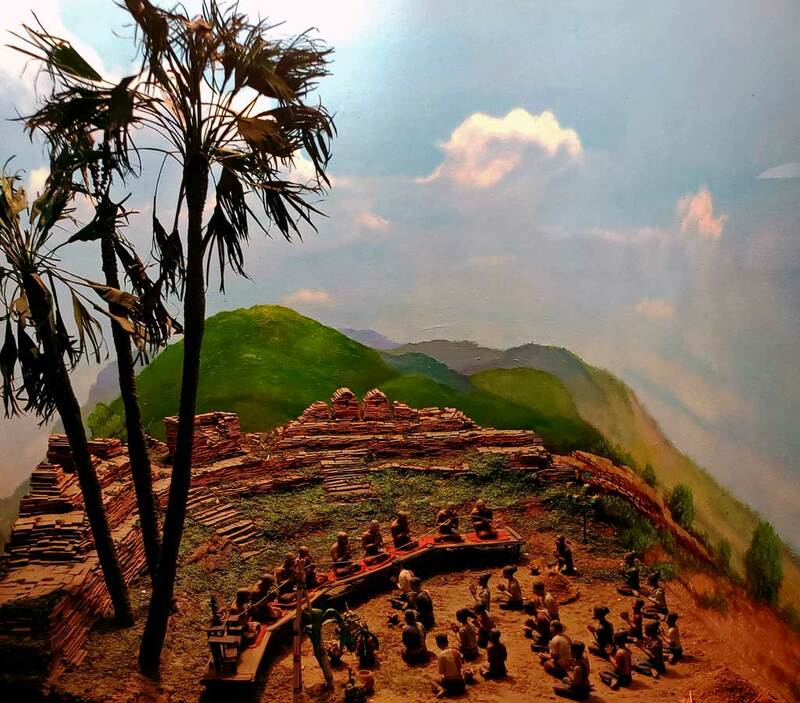 Here is a diorama in the museum depicting an early settlement in the area. Old Chiang Mai Cultural Center. 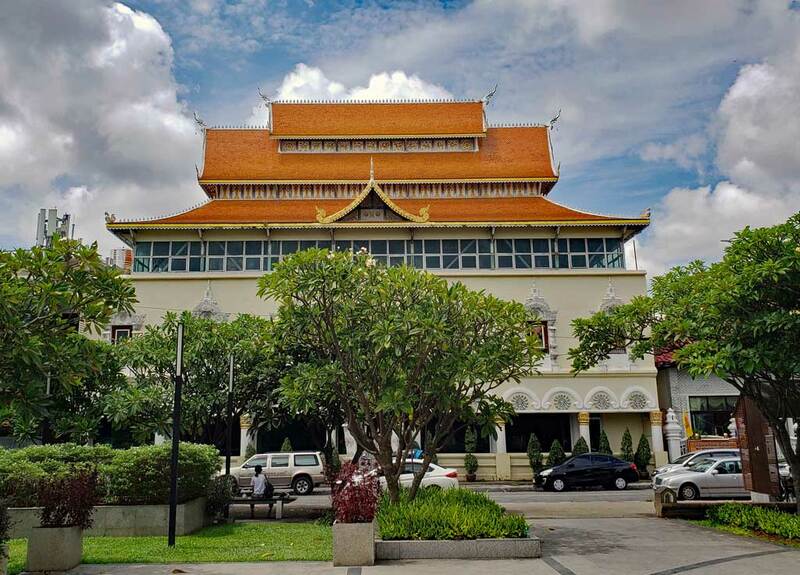 Across the street from the Lanna folklife museum is the Old Chiang Mai Cultural Center. Here you can learn about Thai customs and symbolism, in particular as it pertains to this area of Thailand. 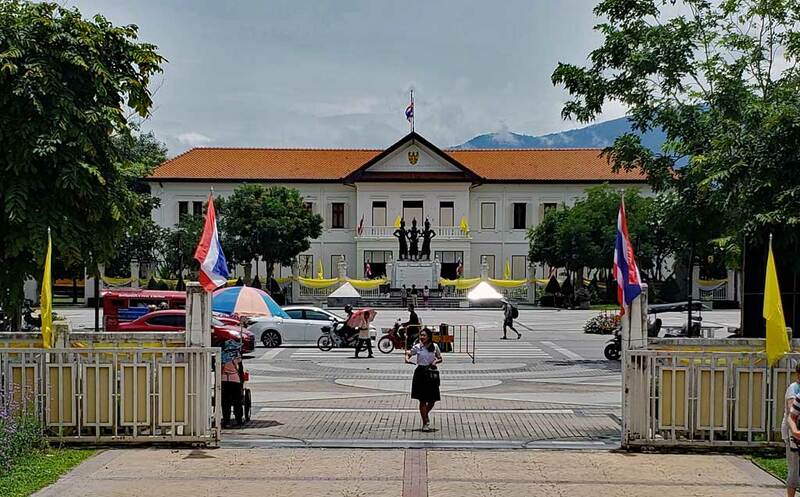 Here is a closer look at the front entrance to the Old Chiang Mai City Arts & Cultural Center with the Three Kings monument. 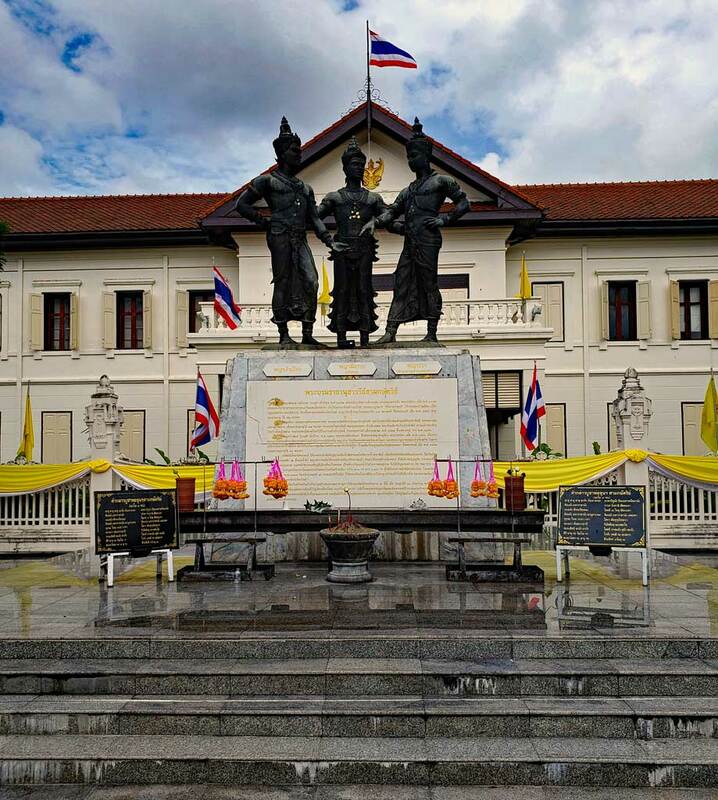 The three kings monument is dedicated to the three Laotian kings, King Mengrai who is believed to have founded Chiang Mai in the 1400’s and his friends King Ramkamhaeng of Sukothai and King Ngam Muang of Payao. Legend has it that the three kings worked together to lay out the city of Chiang Mai and also entered into a pact for the defense of the city. Here you can find out more about the last king of Laos. 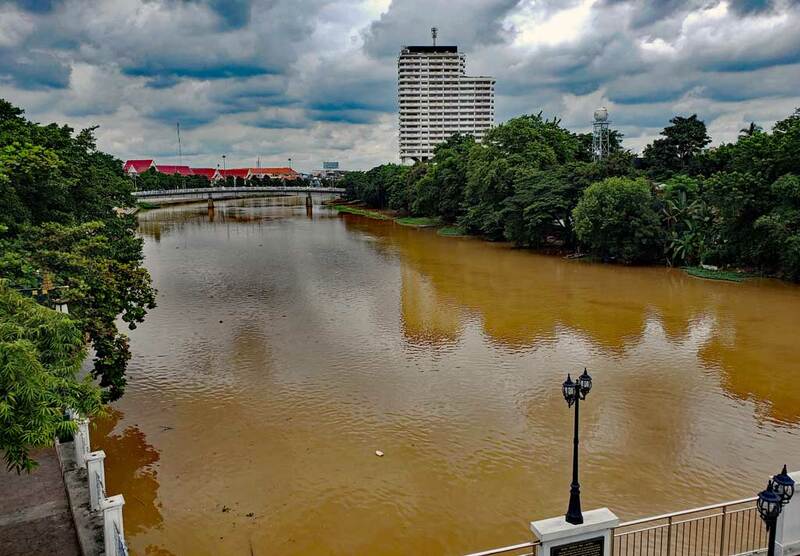 A river runs through the city of Chiang Mai.